https://oehha.ca.gov/proposition-65/proposition-65-list. The list contains a wide range of naturally occurring and synthetic chemicals that are known to cause cancer or birth defects or other reproductive harm. These chemicals include additives or ingredients in pesticides, common household products, food, drugs, dyes, or solvents. Listed chemicals may also be used in manufacturing and construction, or they may be byproducts of chemical processes, such as motor vehicle exhaust. With the current rate of cancer in the United States, this type of information can make the difference between life and death. According to a recent and alarming study published in Medical News here, https://www.medicalnewstoday.com/articles/288916.php, in the United States, 1 in 2 women and 1 in 3 men will develop cancer in their lifetime. Did you hear me? Please re-read the last sentence to be sure that you understand that this directly affects you! In order to address this issue, consumers must become responsible and knowledgeable about what they are buying and businesses must become responsible for what they are selling. Proposition 65 is a great start because it tells consumers, (before they buy products), that what they are buying includes cancer causing and carcinogenic ingredients. Many online distribution stores like Jet.com now show you before purchase that what you are buying includes chemicals that cause cancer and those chemicals are listed on Proposition 65. What is so wonderful is that words like ” chemical free, organic, and natural ” are revealed as true or false because if any of the product ingredients are carcinogenic, the Proposition 65 warning label is placed next to the item before you purchase the item. Now just imagine if this type of thinking hit the restaurant business and the menu actually listed ingredients that are known to cause cancer. (smile). Hum, I think this would certainly be a game changer for not only those eating the food but for those selling the products that go in the mouths of millions of Americans each day. And just to expand your thinking a tad further, imagine if grocery stores listed all of their products that are known to cause cancer as you entered the store. Imagine a wall of carcinogenic ingredients. Would this be a game changer? I think this would certainly be a game changer. I would like to see phone apps address this very issue. Right now we can download so many user apps that tell us this and tell us that. How about a phone app that lists all products sold in stores that cause cancer. Now, who would like to download that app before they purchase products? Talk about a game changer. Support Companies selling chemical free products! 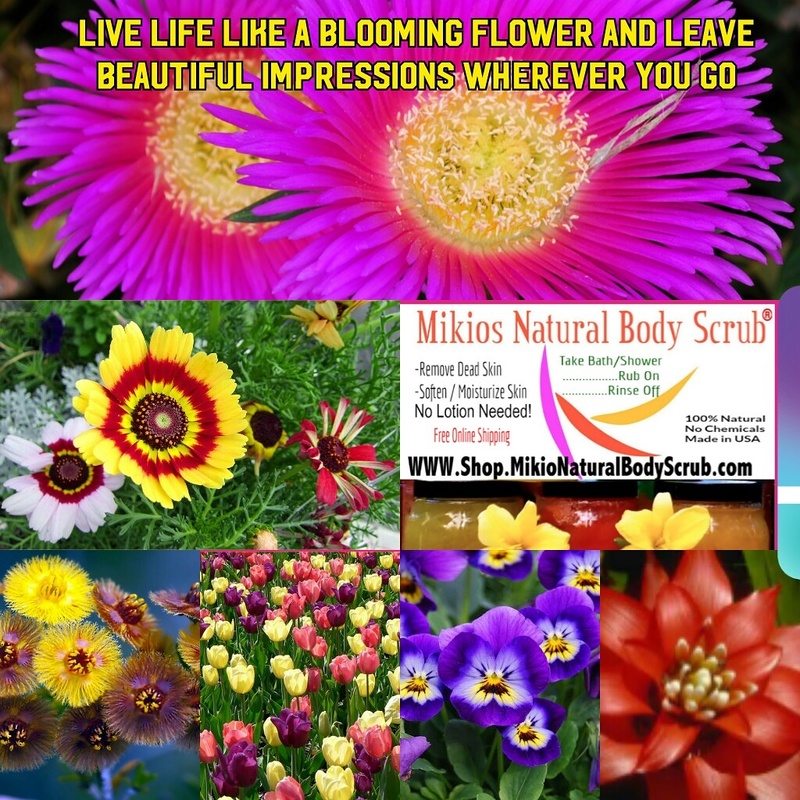 If you liked this article, please click like on our facebook page www.facebook.com/mikionaturalbodyscrub. Likes count! 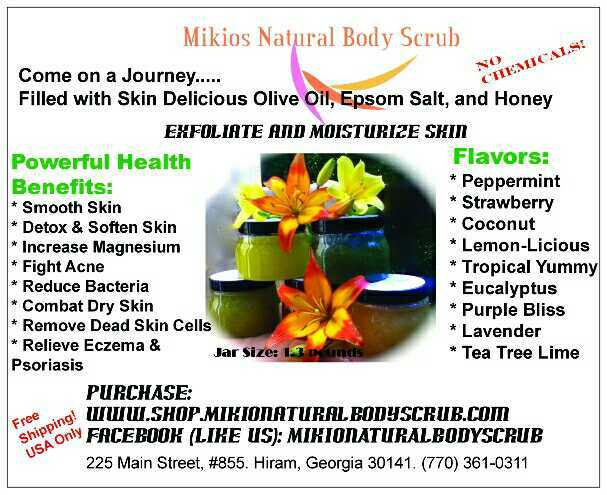 Author, T.Bohler of Mikios Natural Body Scrub, Www.mikionaturalbodyscrub.com, a company that sells 100% natural ( chemical free) salt bath and body scrubs. 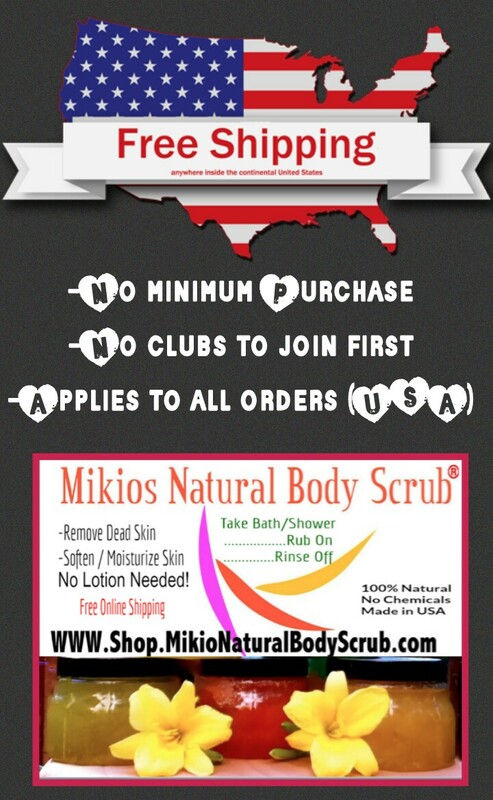 This entry was posted in about body scrub, bath and body scrub, bodyscrubs, chemical free products, healthy america, natural ingredients, natural product, organic skin care, product ingredients natural. This entry was posted in about body scrub, Bath & Body, bath and body scrub, beauty, cure dry skin, dry skin, eczema, health and beauty, healthy america, healthy skin, holiday gifts.